When you are suffering from abdominal pain from chronic pancreatitis or cancer, among others, celiac block is a procedure to help relieve pain. This is done by injecting anesthesia to the celiac plexus nerves to block the transmission of pain signals from the brain. This procedure may last from 10 to 30 minutes. There are various options to manage pain. These options include acupuncture, cryoanalgesia, facet injection and more. We will help you determine the best option which will be effective to control your pain or alleviate your pain resulting from your medical condition. This procedure involves injecting a combination of anesthetic and certain steroid agents into the hip joints under precise fluoroscopic guidance. The anesthetic will provide immediate pain relief on the affected part and the combination of these agents provide pain relief for up to 6-8 weeks. Similar to how hip injections are done, knee injections make use of corticosteroid for relieving pain. 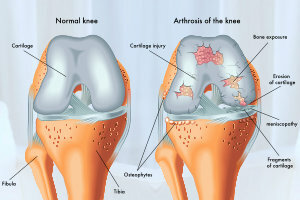 The doctors will inject the substance directly into the knee joints allowing for quick pain relief from knee pain. Nerve block is a procedure where numbing medications are injected directly to the painful body. By numbing the nerves in the affected area, transmission of pain signals is blocked. There are many types of nerve block procedures and we will work with you to determine the best option suitable for your condition. Sciatica is associated with weakness, tingling, and pain that starts from the lower back down to the feet. The sciatica is a very common cause of chronic lower back pain affecting a significant number of US population. It often results from disk herniations, spinal stenosis (Congenital and acquired), and facet joint hypertrophy. Under fluoroscopic guidance, the impinged nerves are effectively blocked using aliquots of analgesics, anesthetic, and steroid combinations to provide effective pain relief that lasts from 6-8 weeks. This is important as patients are provided effective pain relief without the use of oral opioids and narcotics.